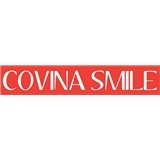 Covina Smile (West Covina) - Book Appointment Online! On behalf of Covina Smile, we welcome you to our office. We hope you will find the atmosphere here friendly, our accommodations comfortable, and our technical services exceptional. Our desire is to provide you with dental care that can enhance the quality of your life, as such, we are pleased to offer you complete dental care in one convenient location. We strive to achieve excellence with every patient with a single goal in mind, establishing a relationship and friendship that will continue for many years to come. We welcome families of all ages and needs, our staff is professionally trained and equipped to meet the needs of everybody in your family. We offer a variety of restorative and preventive dental services - each designed to extend the life of your teeth and total dental health; contributing to your physical comfort, outer appearance, and your inner confidence. Establishing rewarding and lasting relationships with patients is important to us. We pledge excellence in all we do, and we look forward to helping you make the most of your smile now, and for all the years to come. It's always a pleasure to have dental work. Sima and her staff go out of their way to make you feel at home, comfortable and relaxed. Sima's prices are reasonable and her work is top notch! Thank you Dr. Sima and Staff!